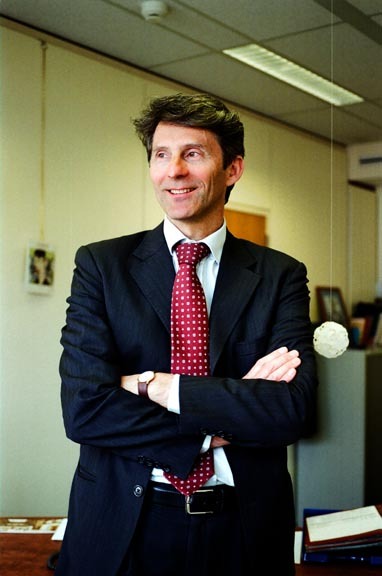 Paul Flament is head of the European Commission’s Satellite Navigation Unit. His primary job, essentially, is to manage the Galileo program of the European Union (EU). With four operational satellites now in orbit and an ambitious schedule to set in place a constellation of 26 by 2015, Flament sat down with Inside GNSS to talk about a number of pressing issues that could affect the future of Galileo. Flament first addressed the EU GNSS Regulation, the much-anticipated document that sets out just who will do what in the future Galileo program. What about rumored strains in the EC-ESA relationship? There can be no disputing the fact that over the past decade ESA has seen its world shaken to the core, the one-time holder of a virtual monopoly over European space activities now having to share credit with upstart EU institutions. Flament doesn’t see it that way. Despite his position, Flament says that he sees the interagency process from ground level. “We are engineers, we have a job to do, we have common interests, and we work well together on a daily basis,” he says. Indeed, sources in the European capital have been raising the possibility of an even more fundamental shake-up in the way space activities are organized and undertaken in Europe. Could a deeper and more complete merging of the various entities, in particular the Commission and ESA, be on the horizon? Flament doesn’t say that, exactly. Apparently, there are new moves being made to clarify the situation. “The Commission published a Communication on overall EU-ESA relations last November. The question was discussed at the last ESA Ministerial Council in Naples. We expect at some point to see an agreement,” Flament said. Before we go any farther, let’s remind ourselves. The EU GNSS Regulation has not yet been adopted. As Flament explains, the final status of the Regulation is closely linked with that of the Galileo budget. However, Flament explains, final adoption of the new regulation by the Parliament is subject to approval of the EU’s new overall budget, which still has not taken place. He hopes this will happen between next June and next September. That is, if all goes according to plan. But what about the rumblings we heard in the wake of the EU budget talks last February, when, for the first time ever, Union leaders agreed to a real-term cut in spending? This cut in the overall budget also had an effect on the Galileo budget. But even more difficult would be the scenario wherein the Parliament decides not to approve the overall budget at all. When the spending reduction negotiated by EU heads of member-states was announced in February, EU parliamentarians, the majority of whom had supported higher budget figures, wasted no time in venting their anger. The parliament’s President Martin Schulz was quoted as telling the EU leaders who had negotiated the deal that it was his bunch, the lawmakers, who would have the last word, thus appearing to promise a further battle to come, perhaps involving the Parliament throwing out the budget altogether and the whole thing returning to square one. Fair enough, but still, what if the unthinkable does happen and Parliament follows through on its threat to boot the budget? “If the overall MFF does not go through as we expect it to, if it takes more time than foreseen — for example, if 2014 arrives and we still don’t have a budget agreement — then things could get very difficult indeed,” Flament says. Galileo Selling Points Still Valid? Fingers crossed then, we move on to the next question. What does the future Galileo look like, or, better yet, what does it have to offer? After all, we already have GPS. Flament says the Commission also sees Galileo as a stimulus for both technological and economic activity. Is there still an argument for a Galileo Commercial Service (CS)? Why should people pay for something that they can get for free? “First, there is the key concept of authentication,” he says. “To give just one example, fishing regulators need better systems for tracking fishing vessels, to know where they are and if they are operating fairly and legally, according to regulations. But spoofing technologies are available that could potentially fool these regulators. The Galileo CS will give the relevant authorities the tool they need to defeat spoofers. A similar anti-fraud argument can be made in other transport areas, he says — in the trucking sector, for example, adding that national authorities and regulators are “definitely interested” in the Commercial Service. One outstanding thorn in the side of Galileo has been the Chinese BeiDou plan to use radio frequencies overlapping those that Europe wants to use for the secure Galileo Public Regulated Service (PRS). But Flament suggests that the formerly rough EU-China seas have now calmed. “The Chinese have agreed that the Galileo/Beidou overlap issue will be addressed within the ITU Framework, so this puts the relevant parties around the table and we expect a mutually beneficial resolution,” he says. ITU is the International Telecommunication Union, which, among other things, coordinates the shared global use of the radio spectrum. What about potential PRS customers? Have the EU Member States held back while the BeiDou/PRS question remains unanswered? Meanwhile, Flament says the commission continues to push for a more global perspective for European GNSS. The GSA’s latest market forecasts show “big things” happening in the coming years. “We will see GNSS generating many new opportunities for downstream business. Satellite navigation fits very well into the European Union’s larger strategy for economic growth. Flament adds that is is important for Europe to be able to see Galileo-enabled products emerging everywhere — so, European industry and political leaders need to know those markets, to be engaged, and to develop products and services that are adapted to those regions’ particular needs. Now, however, the two sides are resuming discussions. “We sense a real interest, Flament says. His office hopes to be in a position soon to sign a “joint declaration” on GNSS and soon thereafter, a text that would lay the groundwork for future cooperation. And Paul Flament has a role to play too. As Galileo moves closer and closer to real operations, after years of setbacks and delays, one could scarcely imagine anyone better-prepared than this optimistic yet level-headed engineer to hold the reins as the program finally takes off. The schedule for deployment is indeed ambitious. It should make for an interesting show.